I am hosting the 5th Annual CCC Health, Fitness, and Wellness Conference on Sat 5/4 at 8:30 am. If you are currently a client of mine, I am sponsoring your attendance. This is the best lineup yet of speakers and a broad range of topics will be covered. The keynote speaker will be my friend Dr. Tim Irwin presenting "Lead from Within" a motivational leadership presentation. 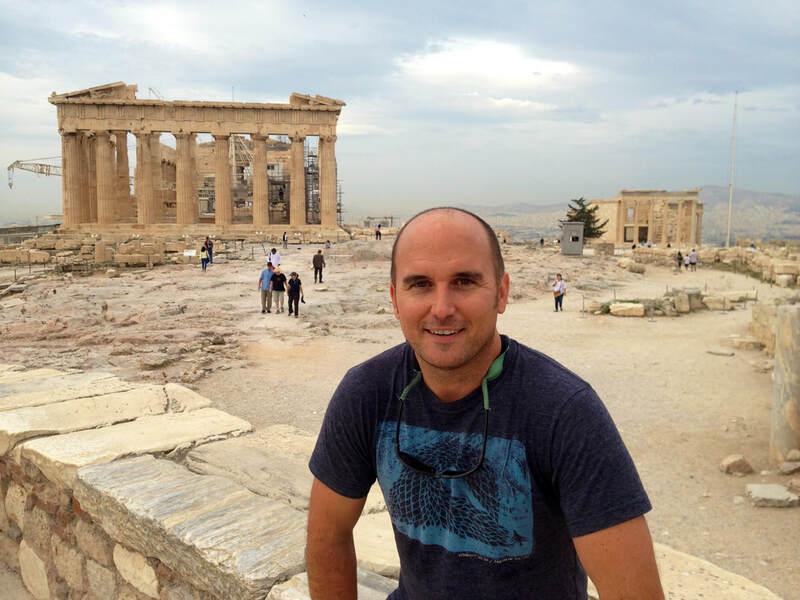 Tim is often on CNBC and FOX and consults at the highest levels of organizations around the world. To accomplish any goal, leadership is required! One thing that strikes me about the modern era is the acquisitive nature of existence. Most of us spend a fair amount of time thinking about what we can get, what we can acquire, but few of us spend a lot of time thinking about what we can give, or how we can contribute, or belong. We seek experiences and materialism, but we don’t think much in terms of covenants, communities, and cultivation. We think in terms of getting, not giving. The reason this matters is that it often creates a world dominated by tourists, with residents pushed to the margins. Community declines, homelessness grows, isolation increases, mental health challenges explode, addiction skyrockets and an already thin cultural life evaporates further. Take the flag protest of the last few years. What was lost with all the name calling was the very nature of such an anthem in the first place. An anthem is not about an individual and what an individual wants, or believes, or about the validity of the protest, but about the nature of the community itself. Just as a funeral, a wedding, or a religious service, or heck even a meal at Longhorn Steakhouse is not an occasion for self-expression, neither is the playing of an anthem. Changing the nature of an anthem to an opportunity for self-expression disrupts the ability of people to form a community, or to live as a group, with a group identity, and it changes the nature of the experience from one of connecting to home (in this case the USA) and identity to one of bewildering confusion for many, dominated by a “look at me” individualism. There is an interesting philosophical term that I learned recently, Lebenswelt in German, or Lifeworld, in English. It is an interesting concept I discovered and kept revisiting this year. The Lebenswelt, or Lifeworld is ‘the world subjects may experience together’. It is a world beyond the physical, or material, it is the life of a community of persons. Tourists, for example, may observe others living in a Lebenswelt, but they don’t themselves experience it. As a matter of fact, the observation of the Lebenswelt may be the whole reason tourists travel to begin with. Through their travel, they acquire an experience of traveling and observing but they don’t contribute to the experience, they only see it and observe it and possibly appreciate it, but they don’t actually participate or contribute to what they are seeing. They’re tourists, not residents. I went to Peru in the Fall and it was a fantastic trip. 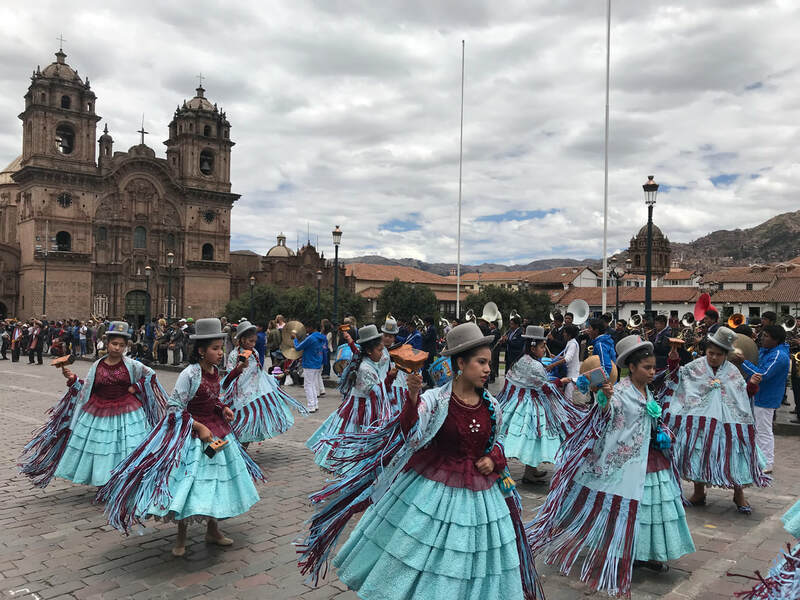 There was a Catholic religious festival which happened there that was one of the more beautiful things I had ever seen, with a 2 hour parade, folk dancing, costumes, incense, statues, and religious symbolism from native Inca and Catholic culture. I observed this Lifeworld, this Lebenswelt of Peruvian life, and it was amazing to see, but I was only a tourist. I was a stranger, if you will. I was treated kindly and warmly, but I was still a stranger. This and other experiences I’ve had traveling have made me realize how much of a void we have in our lives with these types of communal experiences in the USA. If you think about the way we have structured our lives in America, and in other parts of the globalizing world, we have become tourists, largely disconnected from a shared life. I think subconsciously that’s why there has been such a strong connection to the rhetoric of “Make America Great Again.” America did previously contain some communal life, and though most can not articulate it, they know something is missing currently. We are surrounded by tourists, but tourists are strangers. No matter how many Yoga studios, TexMex Burrito joints, Craft Brewpubs, Organic grocery stores, and hipster coffee shops you assemble in gentrifying neighborhoods, it is still a world built for tourists, by tourists, and catering to tourists. It is a ghostly type of existence, and sure it creates comforts and tasty food, but not the kind of long – term communal stability that’s necessary to sustain a culture. Why does that matter? Because the human psyche is not meant to find meaning on its own. Depression is a cultural problem. A classic work on depression, The Weariness of the Self: Diagnosing the History of Depression in the Contemporary Age, covers this subject in depth. Anxiety is a cultural problem. Addiction is a cultural problem. Suicide is a cultural problem. People need to be part of something bigger than themselves. Research shows it and common sense shows it, but the people who control the levers of power are unwilling to admit it, because if they did they would have to look in the mirror and see what kind of mess has been created on their watch. It’s much easier to be a tourist, than to reside and contribute. Many people have tried to live isolated lives, and for 99.9% of the population it doesn’t work. As a matter of fact, isolation is a direct cause of mental illness. Prisoners in isolation go crazy. Children without socialization suffer the rest of their life. Isolation and loneliness are growing problems in our older populations. The pre-modern person would not have had any concept of being an individual, as we think of, it simply would not have existed. We don’t have to go back to that era of living in isolated tribes, but the opposite doesn’t work either. A resident life is harder, but it’s also more meaningful and full. We need to reside somewhere, and to contribute face to face, to balance acquisition with contribution, taking with giving, consuming with creating, and hiding with belonging. What we can do about it is think local, and act local in every way possible from food to politics and to how we spend our time and energy. I find myself interested less and less in what’s going on in Washington DC and more interested in what’s happening locally, and I’m much happier that way. It’s amazing how interesting the people are who we interact with and take for granted on a daily basis. The ideology of unhealthy, unmoored, atomized, and unrooted individualism has seeped into every aspect of life of America and you can only do so much to fight against it. But do what you can, and I’ll do what I can do, to create smaller communities that work for building health. It’s always harder to put yourself out there than to hide. But creating community, a Lifeworld, where we can live together is worth the effort. Enjoy the Blog? Pass it on! 6 oz steak with broccoli and basmati curry rice. Delicious and healthy. * This is the last part of a year-long series called "52 Weeks to Eating better than Ever". Click on the side bar for more information and to read the previous essays. ​It's been a great year on nutrition and I hope you've enjoyed it! Too Much Food, Many Problems. Innumerable large volumes have been written on nutrition. The most important factor to consider is conveyed in the preceding proverb. So many of our health problems- obesity, depression, anxiety, eating disorders, heart disease, and others- are not caused by lack but rather from excess. When we don’t have food to eat, the problem we have is serious, but simple. We need to eat and nourish ourselves in some way. On the other hand, having too much food creates many other challenges, both with food and in other ways. We live in the land of plenty, and in a time of plenty, so our problems revolve around managing excess not lack. “Science” often contradicts itself. One year coffee is bad for you, the next it’s good. One week eggs will give you a heart attack, the next day you should eat them every day. This series of essays has avoided dogmatic extremes and extraordinary claims and instead has focused on simple habits you can develop to eat healthier over your lifetime. There are of course other habits which could have been added. You may even have some things you could teach me and others about eating healthy. But overall, if you internalize these habits and skills, you will have come a long way towards a reasonable lifestyle of healthy eating patterns. To wrap up, lets’ cover a few more things. Eating for athletics and for athletic performance is a different goal than eating for health. It is good for athletes to eat healthy foods, but athletes need more energy, and require more nutrients for recovery, so they need to eat more than the general population. Keep this in mind when you are training. If you decide to compete in a sport, or sign up for a race or physically challenging event, you’ll need to focus a bit more on the timing and quantity of food, increasing your caloric intake to meet performance demands. How much depends on what type of activity. To burn some fat, you can fast an hour or two before and after a cardiovascular or interval workout, but don’t fast too long or you may burn through valuable muscle to replenish your energy. When you lift weights, eat a snack before and a meal after, but avoid heavy fiber before. Don’t eat a high fat or high protein snack before any workout because it could cause GI distress. Workouts or competitions over an hour justify a small snack during the session if needed. I wrote about this this several times before, but if you are getting frustrated that you aren’t losing fat, it’s probably because you aren’t tracking your intake. Our overall philosophy of eating is a grounded one. We want to obsess less on fads, bodyfat, and diets and more on our overall style of eating. We want to eat close to the ground, which means a focus on less processed food and more fresh vegetables and fruit, whole grains and plant foods, healthy meats, fish and legumes. If it’s highly processed it’s probably not that good for you. One of the most pleasurable things in life is eating. Breaking bread with friends and family, or even strangers ,in a communal setting is the epitome of the good life. Opt out of the drudgery, the guilt and the yo-yo lifestyle of fad dieting. Return to joyful eating by taking periods of rest, and by focusing on eating well. Stay close to the ground, build community around food, and for heaven’s sake, slow down a little and savor the flavor and the moment. There’s intense happiness and joy to be found in food when we do it right, so do it light and right! A simple Asian salad, with salmon, nuts and oranges, and a soy vinaigrette dressing. Delicious. As we wind down this series, let’s cover some shopping habits you should try to install. Read this list a few times and internalize these things so they become second nature to you. They may not seem like a big deal, but taken together they make a huge impact. 1) The outside aisles are the best. Most of the high calorie, processed, and unnecessary junk food is on the inside aisles of a grocery store. If you prioritize and stay focused on the outside of a store, you will make better purchase decisions, eating better and saving money. 2) Fewer choices equals better results. The more choices you have, the more complicated and stressful things become. Simplify in every way possible. Go to smaller stores, buy fewer things. Cut out certain foods. 3) Throw out the sodas, fried food, sweets, and high-glycemic processed carbs. This one is similar to number 2, food that is out of sight will be out of mind, and easier to avoid. Get rid of it. 4) Pick one day per week, like Sunday afternoon, or Monday evening, to prepare the food for the week. If you can get ahead of the curve, and have healthy food on hand, you will a) eat less b) eat out less and save money and, c) consume more high nutrient foods (versus empty calories). If you buy in bulk, and prepare foods ahead of time, you will have healthy snacks on hand and be able to spend less time going back and forth to the grocery store. And you will also save money. 6) Use the freezer.Frozen food has been found to be almost as nutritious as fresh food. By having frozen foods on hand, you can prepare healthy meals in very little time. 7) Buy off brand foods. By using off brands, you’ll get in the habit of becoming more aware of food choices. Most of the major grocery store brands have their own off label, even in the organic section. Same as buying in bulk, you likely will eat healthier and save money. 8) Don’t go the grocery store hungry. At least have a glass of water and some nuts beforehand. Out of sight, out of mind. We have to learn to keep the junk food out of the house and we do this by not buying it in the first place. If you go to the store hungry, you’ll make poor choices and buy way too much. 9) Use meal planning software or programs if need be, or create your own meal plans. There are many excellent programs (Myfitnesspal, Weight Watchers, Cooking Light, Real Simple) out there you can use for meal planning. They will give you a detailed list of calories and nutrients for certain meals, as well as what to buy at the store. 10) Keep a grocery list and stick with it. Keep a list going all the time of what you need. Don’t go to the store without a list. If you do, you’ll forget things and end up making poor choices, or not be able to cook healthy meals in a tasty way. Like the blog? Pass it on to friends and family.